Bare Skin foundation. Sounds too good to be true, but that doesn’t stop thousands of women like me seeking the holy grail of barely there foundation that looks like skin. I was walking through town minding my own business when my feet started wandering off on their own… right into Superdrug. I thought I might as well have a look while I was there and no trip to Superdrug is complete without stopping by the Sleek MakeUP aisle. I’d been meaning to try the Bare Skin foundation for a while but haven’t been able to get to a store to swatch and work out my shade. I’ve found that Sleek foundations are too variable for me to ‘guess’ my shade and buy online. After a couple of minutes, I settled on Crème Caramel. It’s a little pink for my complexion and a tiny bit too dark. That said, the foundation is so sheer but pigmented (yes, really) that I only needed to applied a light layer to get the coverage I need (my skin is behaving very well right now). I was away on training last week and grabbed this as my foundation of choice (I had my Bobbi Brown as a back-up). Anyway, on day two of the course, we had an early start and had to head out at 7am from our hotel. I had very little time to get ready so after a quick wash and cleanse, I popped a drop of foundation on the back on my hand and lightly rubbed into my skin starting from the centre of my face and blending lightly outwards. I didn’t powder as I thought I’d touch up my make-up when I arrive at the training venue. As soon as I met the other delegates in reception, one of them (yes, the hot one) greeted me with a warm “Hey, you’re looking good today. Did you head to the gym this morning?” I was pretty chuffed that my late night was cleverly disguised by the teeny bit of foundation I slapped on. To be honest, the fact that the shade was a teeny bit bronzy and a touch too pink for me worked in my favour, as it gave me a really healthy looking glow. I didn’t end up powdering over it as I just fell in love with the dewy finish. It’s not a foundation I’ll be using every day but for those days when I want a fresh, minimal, ‘me-but-glowing’ natural look, I’ll definitely be reaching for this. 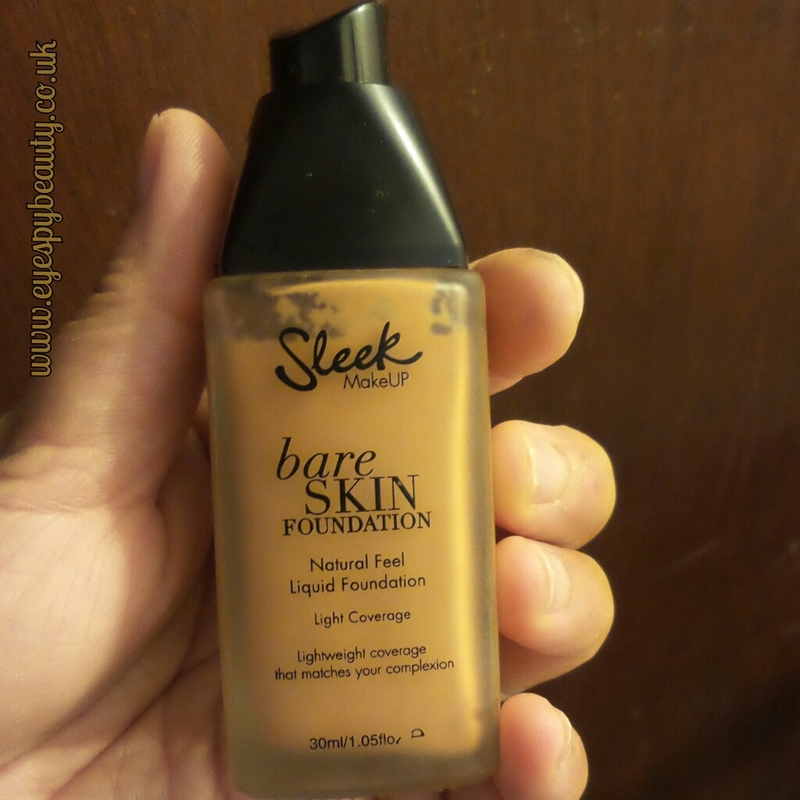 Leave a reply on "First impressions: Sleek Bare Skin Foundation"